Perched on a cliff adjacent to Main Laguna Beach, The Inn at Laguna Beach is an iconic luxury boutique hotel nestled in the heart of this famed beach town. 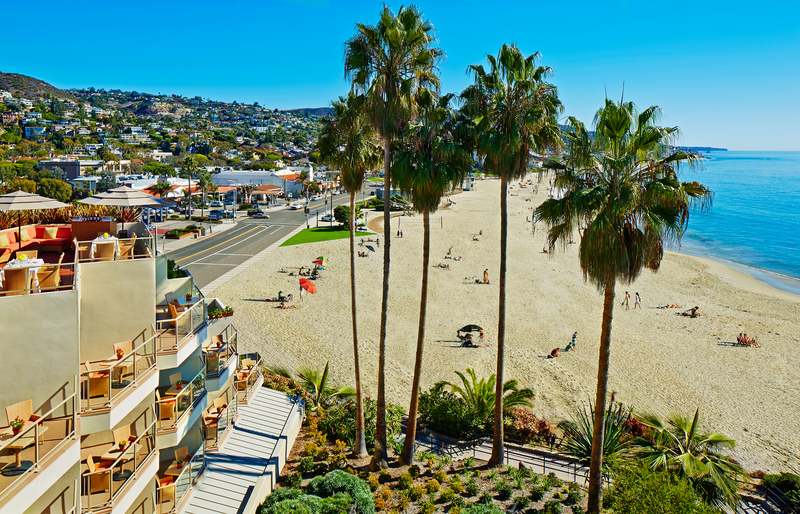 Just a few minutes’ walk from the finest restaurants and art galleries in Laguna, this hotel maintains the prime location for beach access and its neighboring downtown Laguna Beach. 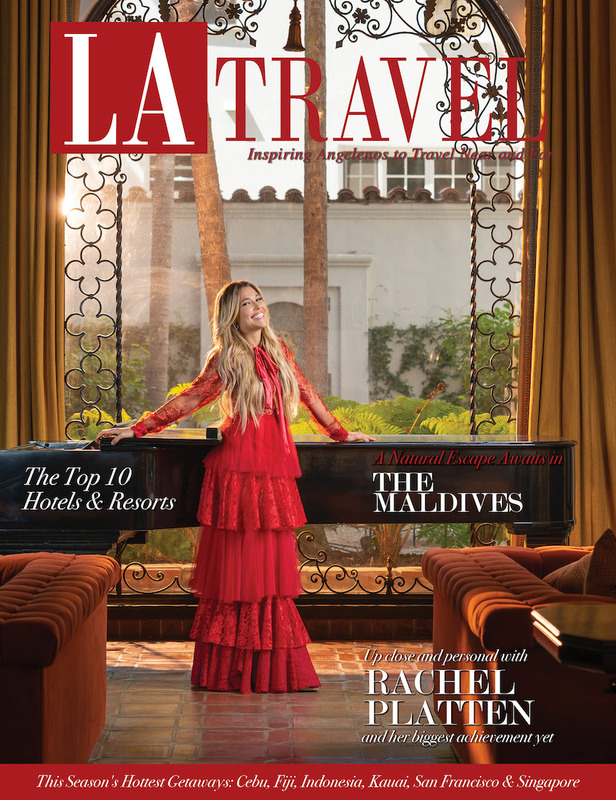 This Southern California upscale hotel is also just three miles south of Crystal Cove State Park, a legendary spot for long beach runs and views of the stunning coast. Coffeemakers and mini fridges are also provided in room, making it easy to keep your lunch cold before heading downstairs for a picnic on the beach. Complimentary 100% Certified Organic specialty coffee and an array of European artisan pastries welcome each guest each morning down in the lobby. 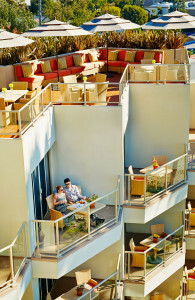 The hotel is also home to the legendary Las Brisas, one of Laguna’s top restaurant landmarks. Dine here for breakfast, lunch, or dinner. This cliffside Mexican seafood hotspot won’t disappoint! 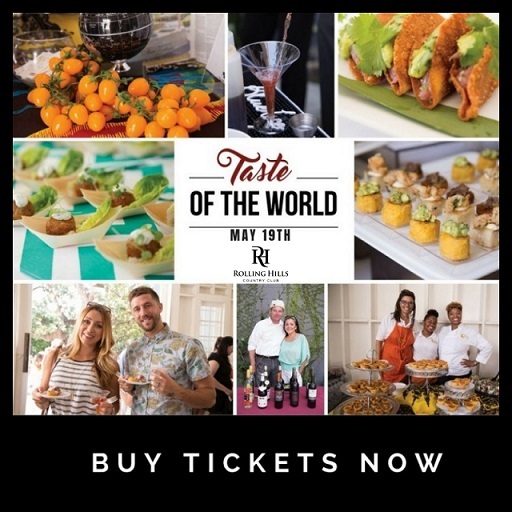 This oceanfront property includes complimentary wine happy hour in the lobby or on the breathtaking rooftop terrace enveloped in panoramic views. Complimentary milk and cookies are also offered to guests nightly. Walk down the steps to the edge of the beautiful Pacific, and relax with the use of beach towels, chairs, and umbrellas provided free for guests. 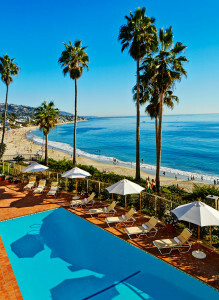 Just above Laguna’s beautiful tide pools, The Inn at Laguna Beach allows you to explore the natural ocean environment around you within a short walk down from your room to the sand. Rent a stand up paddle board and take a tour of the coast by traversing the blue waters. Beginner surfers are welcome in the nearby gentle waves. Heisler Park, bordering the hotel, entreats passersby to walk through its manicured heritage gardens. For those who love to hike or bike ride, some of Southern California’s best trails lie minutes away at the ever-talked about Top of the World above Laguna Canyon. 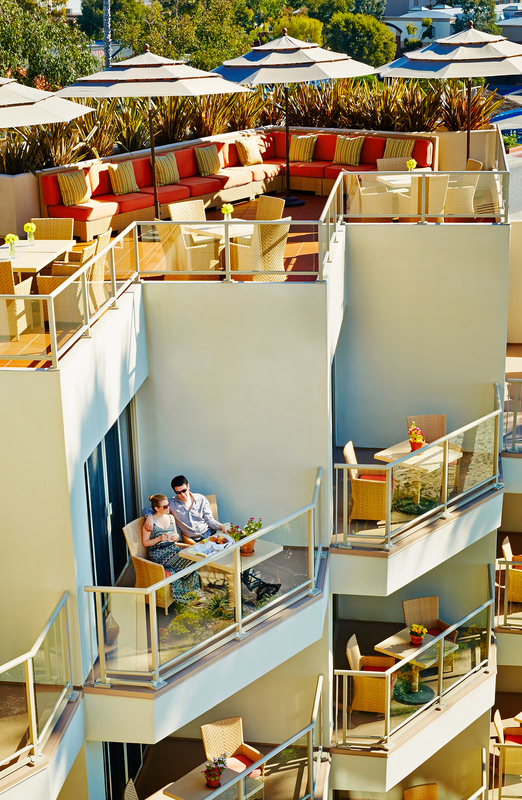 Open terraces and meeting rooms with ocean views are available for business or special events, creating an intimate seaside retreat for innovation. This chic beach boutique hotel will charm you all around. Pictures of the Laguna area within the 20th century adorn the walls, beach-inspired colors warmly welcome you in, and guests fall asleep to the soft roar of the ocean’s waves. 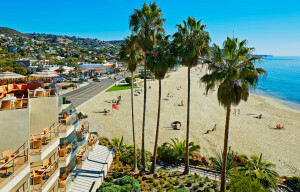 If you wish to discover Laguna at its core, The Inn at Laguna Beach hits the mark!